Hydrate your skin for up to 48 hours with Vichy Aqualia Thermal Rehydrating Light Cream for normal skin types, an intensive moisturiser that restores the balance of sensitive and dehydrated skin with a lightweight touch. Renovated for 2018, this daily lightweight moisturiser contains an ultra-hydrating blend of hyaluronic acid and sugars to keep the complexion happy and hydrated. Even more moisturising than before and now with the 97% natural-origin ingredients, the fresh and quenching cream strengthens the natural protective function of the skin and soothes discomfort. 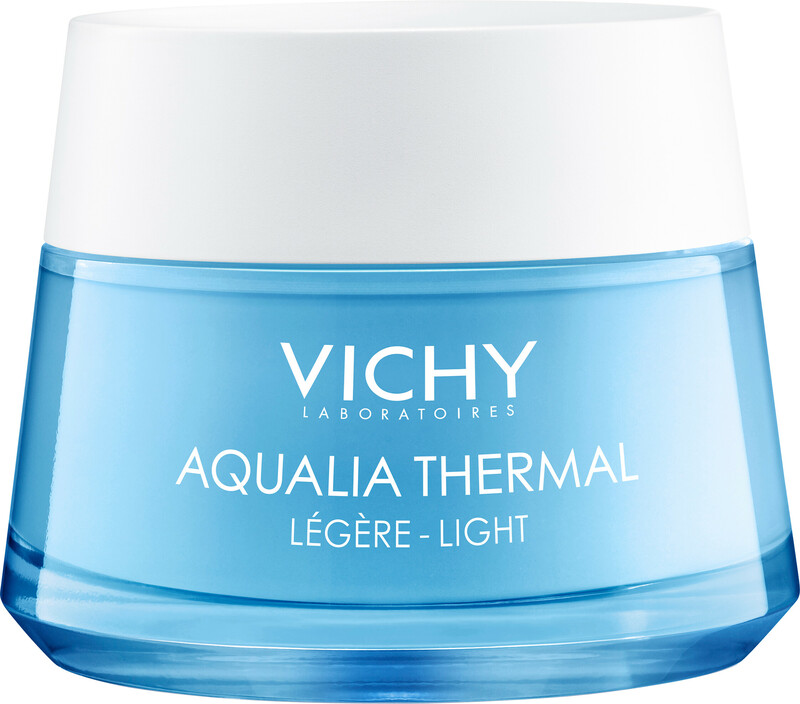 The feather-light, refreshing texture of the Aqualia Thermal Rehydrating Light Cream is rich in 15% Vichy Thermal Water, which immediately cools irritation and tightness. The cream instantly melts into the skin without greasiness or stickiness, ensuring that skin is replenished with water. Apply both morning and night to the face and neck either alone, or under makeup. Massage gently until thoroughly absorbed. Hypoallergenic. Tested on sensitive skin under dermatological control. Silicon-free, mineral oil-free, PEG-free, paraben-free. 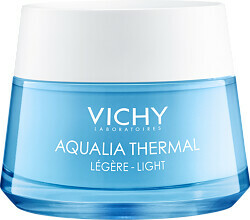 Vichy Aqualia Thermal Rehydrating Light Cream - Normal Skin is rated 3.7 out of 5 by 3. Rated 5 out of 5 by Adela from I use the product for few years now and I love it. Rated 5 out of 5 by beautyfan1 from A really great product Vichy has been around for so long, I can't remember not having used their products at some time. This moisturiser whilst being for normal to combination skin and quite lightweight in texture, keeps my skin very nicely hydrated. The fragrance is lovely and fresh and a little it seems goes a long way. Rated 1 out of 5 by RLove from No No for Combo Skin Please, if you have combination/sensitive skin (And I'm talking about skin on the normal to oilier side) do NOT buy this. I bought it with the intention of using it alongside the Aqualia Thermal Serum for day time, and whilst it was okay for a couple of days, I noticed that I started to get redness and spots forming under the skin. Cut to a couple days later and I have the worst breakout I've ever had (chin, both sides of nose and cheeks). I had such high hopes, but it's just not good for my skin. It feels light for a bit, then started to make me feel oily after a couple hours use - to the point where I was looking forward to night time so I could cleanse again. Try La Roche Posay's Toleraine Ultra moisturisers (Day and Night). I swapped this Vichy Product for LRP's Toleriane Moisturisers. They are light (but soothing), calm any redness you may have, and nicely moisturise the skin.